Dentures are one of the least expensive ways to restore your smile. These devices have two primary components. Artificial teeth and a framework that allows it to fit snugly in your mouth. Dentures can replace a few missing teeth, or they can replace all of your natural teeth. Partial dentures replace a few teeth, while full dentures replace all teeth. Dentures can last over five years, but they have to be readjusted from time to time as the shape of your face changes due to age. With dentures, you will be able to go back to speaking and eating like you once did. You will no longer find yourself reluctant to smile at social gatherings as your confidence grows thanks to your improved smile. Getting dentures doesn’t mean you no longer have to worry about taking care of your mouth. Matter of fact, taking care of your mouth becomes even more important when you get dentures. You will also have to learn how to properly take care of the dentures since these need to be taken out and cleaned daily. 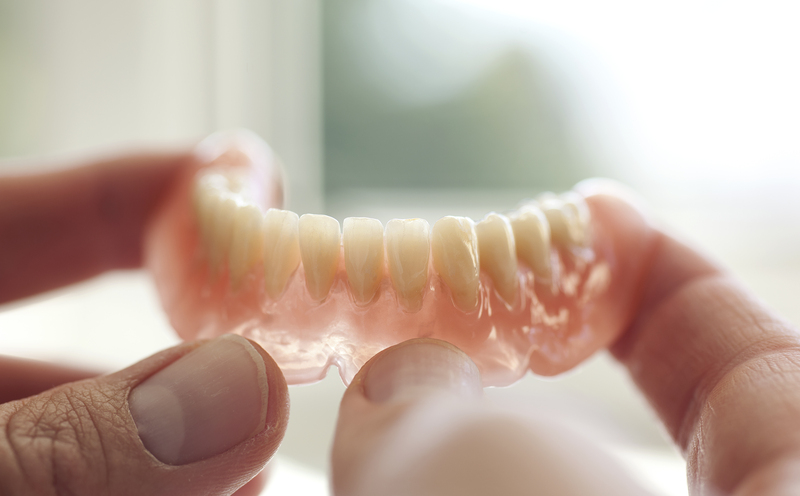 Here are 7 other things you should know about dentures if you are considering getting them. As was mentioned above, taking proper care of your mouth remains important even after getting dentures. Brush with a special denture brush twice daily to keep your dentures looking nice. You can also brush with baking soda since this has a whitening effect but does not damage your dentures. While dentures are a lot more stain-resistant than your natural teeth, they will eventually become stained if you regularly consume foods that contain strong coloring agents. Food items to consume in moderation include coffee, red wine, tea, and pasta sauce. If you end up with badly-stained dentures, talk to your dentist about getting them whitened. Use the type of denture cleaner recommended by your dentist since failing to do so can leave you with a damaged prosthetic. Some cleaners are better for dentures with metal frames, while others are better for those that have soft linings. If you ever damage your dentures, resist the urge to fix them by yourself and head straight to the dentist. Trying to patch them up yourself can end up making things worse. Do not try to be cheap when shopping for dentures. The benefits that come with high-quality dentures far outweigh the costs. Remove your dentures before going to bed each night and soak it in a quality denture solution. This keeps it well-lubricated and kills germs that have accumulated on it. Make sure you get your dentures regularly examined by your dentist. Doing so allows your dentist to deal with any alignment or discoloration issues before it becomes a problem. For more denture information or to schedule an appointment with Pearl Shine Dental, request an appointment in our Houston dental office here: https://www.pearlshinedentalclinic.com. Or call us at (281) 477-7200.